If the Australian public treated one-eyed media outlets the same way a Pennsylvanian gun show owners received them, we may start to see balanced news articles when it comes to law-abiding firearm ownership both here and overseas. The news article titled "I was kicked out of a gun show" brought a smile to my face. It attempts to make out the organisers of a Pennsylvania gun show were against Australians viewing the show, but it was only Australian Media outlets that were not welcome. The first paragraph of the article makes it clear why they were not welcome. By employing sensationalist rhetoric and "clickbaiting" this type of journalism is repeatedly and constantly attacking the most law-abiding people, not only in Australia, but in the USA as well. RIFLES, handguns, shotguns, pistols, grenades, ammunition and knives - a smorgasbord of weapons is on sale at massive gun shows across America. News.com.au were picked the minute they walked in. They published a statement which basically said that if you're Australian, you might not be the most popular person at one of these events. 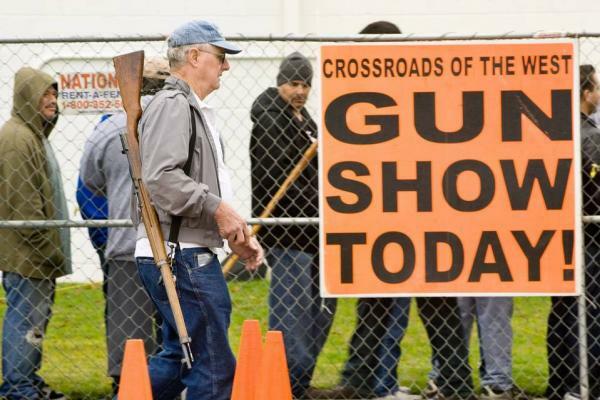 "As news.com.au explored the Harrisburg Gun Show, a large man in a neon orange shirt strode up to us. 'You guys are gonna have to leave,' organiser Steven Elliott told us, after discovering where we were from." "I've dealt with the Australian people before, they know full well they're not allowed in any of my shows." He said Australians had been "rude" and "ugly" to him at past events, and even alleged media had tried to run him over in a car. As much as they would like their readers to believe it's all Australians that are not welcome, it became clear that it is Australian Media that are not welcome to these events. It seems an Aussie Press Card is no guarantee of a red carpet in the Land Of The Free. The rest of the article is the same old anti-gun ownership diatribe we have come to expect from the majority of Australia's mainstream media. If you like pulling out your own toenails the rest can be read here.